This was in Vicarage Street. It was built during the incumbency of Rev George Garnons Bird which was from 1885-1902. It was demolished in the late 1950s and a church hall was built on the site in 1960, incorporating the old vicarage cellar walls. 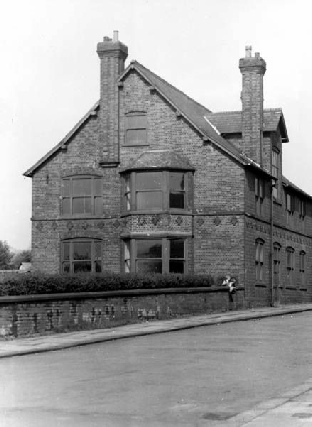 It has similarities with the vicarages in Barton and Newton Heath in terms of the patterned brickwork.